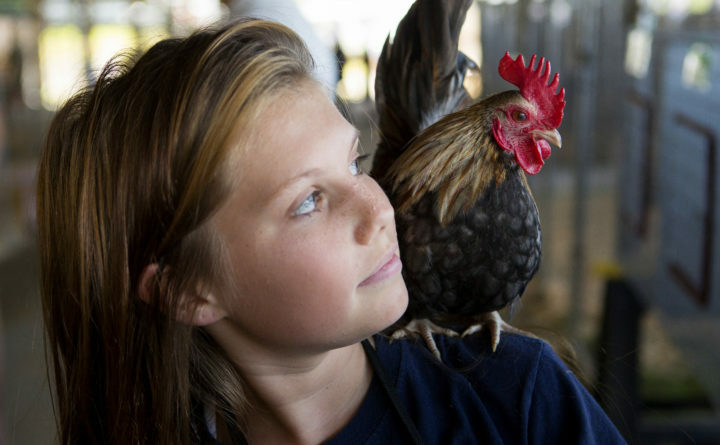 Miyah Hall, 14, stands with her Serama chicken Tikii on her shoulder in the Old MacDonald's Farm barn as part of 4-H showing during the 2017 Bangor State Fair. Since 2014, BDN readers have enjoyed Homestead, our section devoted to topics like food, farming and do-it-yourself projects. We’re proud of Homestead’s growth. It’s unique in how it speaks to Maine’s natural bounty and Mainers’ values. For four years, we’ve reported on topics as varied as tiny houses and staying tick-free, and our audience has responded. But we’re both media makers and voracious media consumers ourselves, so we also know there’s an appetite for the writing Homestead provides outside Maine, too, as part of a broader cultural conversation about sustainability and self-reliance. To respond to that hunger, we’re launching a website, Hello Homestead, which gathers together our Homestead section’s articles alongside some work from other publishers. Hello Homestead will cover gardening and small farms, DIY projects, and the culture of sustainable living much the way Homestead does, but our content won’t all be Maine-focused — you can expect to find work from away there, too. If you want to explore homesteading and deliberate living in more depth, though, bookmark hellohomestead.com or follow it on Facebook, or you can sign up for Hello Homestead’s weekly newsletter.